Please select one of the numbers below for a truly interactive experience! 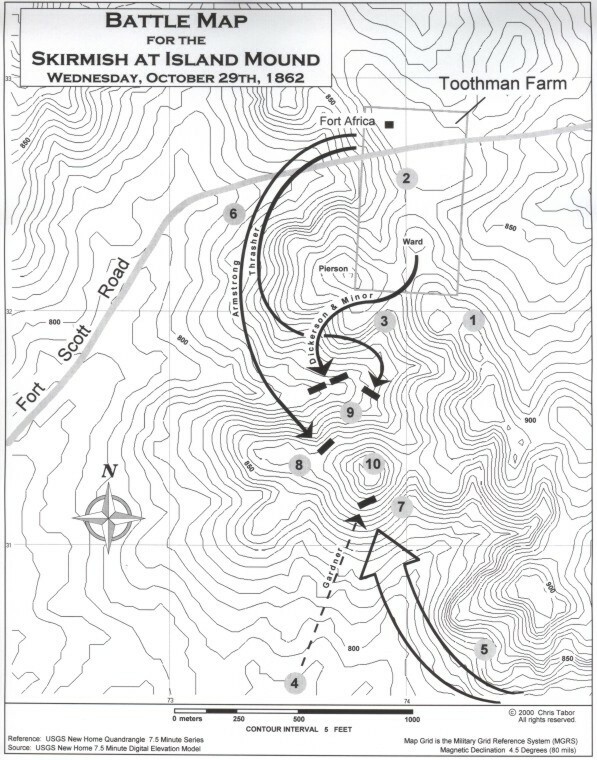 Each numbered location on the map is linked to a description of that phase of the battle as well as my interpretation of what the sounds on the battlefield might have been. Although not overly large, the accompanying audio files may take some time to download over slower connections. As these files are stored in your browser's cache each successive visit will render these files much more quickly. I hope you downloaded the free Beatnik player. Enjoy!